Discussion in 'Espionage Report' started by darthskellington, Jul 26, 2012. I've talked about Coca Cola cups before. Here is a partial set I acquired recently. 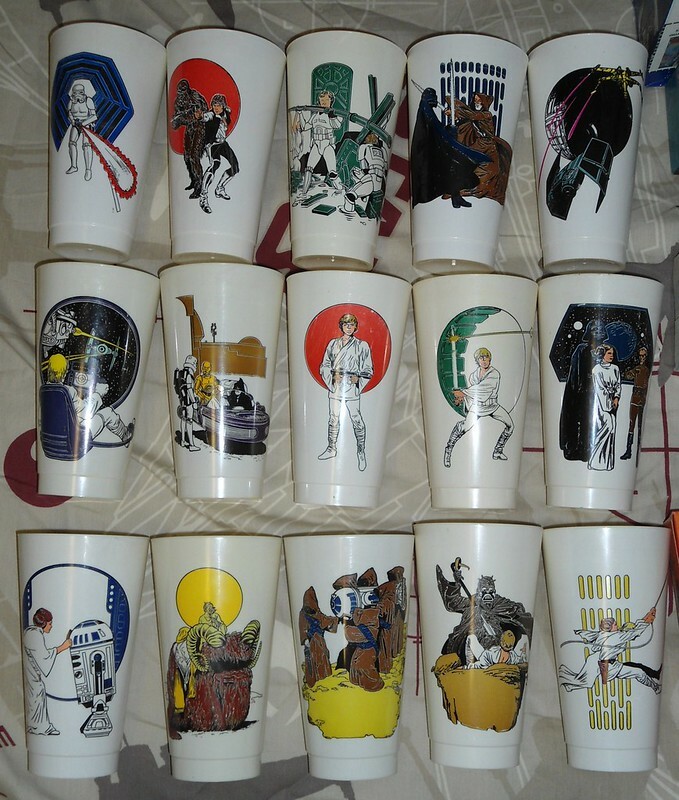 There were three different sets of plastic cups available at convenience stores for the first Star Wars movie. This is the first set, dated 1977. Each cup features colorful artwork on the front, and a text description on the back. There are 20 numbered cups in this set. These cups are very fragile, making them difficult at times to track down, especially in good condition. They are also prone to yellowing from exposure to light and heat. I need a set of these. Only ones I am missing. I have the two smaller 8 cup sets. Nice. These have been popping up on ebay frequently these past few months. Condition varies greatly though. I've almost got a complete basic set of 20 images...although many of mine have yellow rings and I'd eventually like to upgrade them to shiny white cups. I have a complete basic set of series 2 (which also has 4 variations). The third (un-numbered set) I only have three glasses so far.